Protecting your family and pets. Ticks spread a number of different diseases that affect both pets and people. 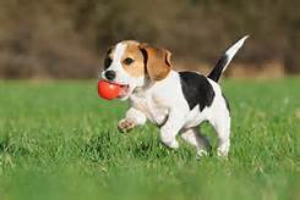 They can transmit Lyme disease, Ehrlichia, Rocky Mountain Spotted Fever, anaplasmosis, tularemia, and babesia. Lyme is common among dogs, less likely in cats. The risk to your pets can be minimized by using preventive measures such as topical medications and tick collars. The best source of guidance is your veterinarian. Discuss tickborne disease prevention at your pet’s annual checkup. Prevention products offer an important defense against tick bites infecting your pets, but there’s still a chance that your favorite furry friend will pick up a tick. Topicals with acaricides that can kill a tick. These include collars and once-a-month topical applicants. 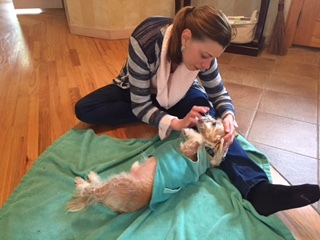 If ticks get past this first layer of protection and bite the dog, then they come in contact with the second layer of protection, an oral preventative that is circulating in the dog’s bloodstream. The tick will ingest these chemicals as it takes a blood meal and this usually kills the tick within a few hours of the bite. These products are typically given once a month. The third layer of protection is the Lyme vaccine. If your pet has received it, antibodies may bind to the bacteria to diminish the chance of infection. Be advised that the vaccine is considered 80 percent effective and is only effective against Lyme disease, one of many tickborne diseases your pet may encounter. Frontline offers a free “dose reminder” download for your iPhone where you can also store health information and appointments with your veterinarian. These will help you keep track of when treatments are due so that your pet has continuous protection. Don’t forget to check yourself and your family, especially after grooming your dog or after the dog has been outside. Vacuum carpets frequently and keep pets off furniture. Wash your pet’s bedding and jackets or blankets frequently. Consider creating a space in your yard that’s unfriendly to ticks. The University of Rhode Island's TickEncounter Resource Center has an interactive “tick habitat” backyard guide to help you make strategic landscape changes that will reduce tick numbers on your property. Fencing, including electric options, will help contain your pet in those areas. Recurrent lameness is also possible, and the involved extremity may be tender. Inflammation of the joint can last from days to weeks, and may migrate from one extremity to another. Lyme disease is possible, but uncommon in cats. Dominant clinical features are lameness due to inflammation of the joints, lack of appetite, and lethargy. Some cats develop kidney conditions. Many cats with lyme disease do not exhibit any symptoms. Those that do may have recurrent lameness of the limbs due to inflammation of the joints. Apply topical insect repellent products. It is likely you will have to reapply the products regularly, especially if you are traveling through areas with high tick activity. If possible, limit access to tick-infested areas. Check horses frequently for ticks or, at a minimum, at the end of each day's activities. The ticks should be promptly and carefully removed. Be sure to check the tail, mane and ears thoroughly. Note that the Connecticut Agricultural Experiment Station (CAES) does not test ticks removed from animals. 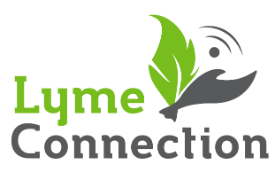 Lyme Connection Pet Editor Nancy Whyte-Olay spoke with Dr. Sarah Timm of the Roxbury Animal Clinic about tickborne disease prevention for our favorite four-legged friends. Dr. Timm believes that tickborne disease is 100 percent preventable, as long as there’s strict compliance with prevention products and yearly screening to ensure a negative Lyme status. Read on for Nancy Whyte-Olay’s interview with Dr. Jordan Dann, D.V.M., the director of the Ridgefield Veterinary Hospital. Dr. Dann is now seeing a new strain of Ehrlichiosis called Ehrlichia canis. Dr. Dann, founded the Ridgefield Veterinary practice in 1956. He was a president of the Fairfield County Veterinary Medical Association and the Connecticut Veterinary Medical Association, where he also served as the Chairman of the Ethics Committee for 15 years.